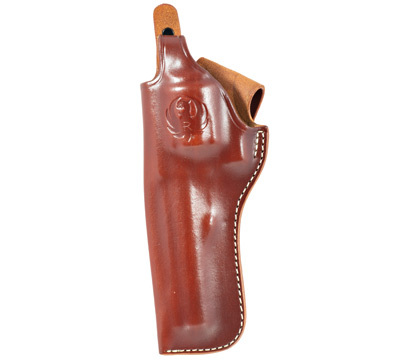 This molded holster fits close to the body and features a thumb break safety strap with a spring stiffener. Made with top-grain leather for durability and fit. Open bottom design fits 2-1/4" or smaller belts. 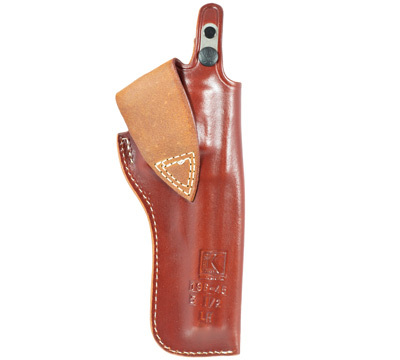 Walnut oil leather finish. 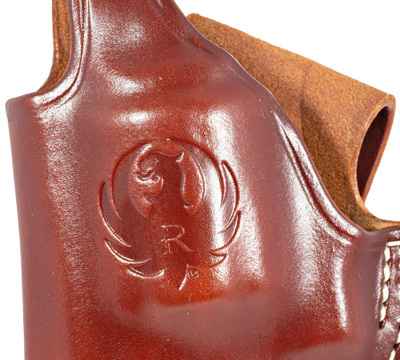 Includes the Ruger logo. 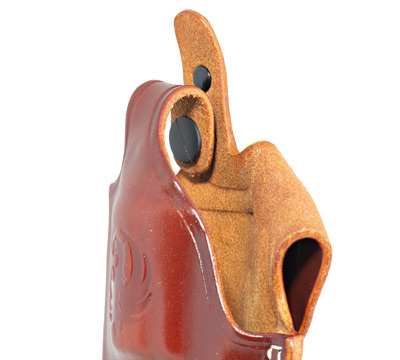 Designed to fit the Redhawk® with a 5-1/2" barrel. Left hand only. Made in the USA by Triple K.